Issues with the new registration system had students panicking, creating an every-man-for-himself culture. My first registration experience occurred in the safety of my RCC classroom. My professor had circled around our laptops, answering questions and adjusting students’ schedules as necessary. I remember everyone panicking, including myself; after all, we had all heard that registration was cutthroat. We were told that in a moment’s hesitation, you could lose your spot in a coveted class. Despite the tension in the room, the process was easy enough, and we did not experience any major glitches in the system. It was a simple combination of inputting course reference numbers and clicking the submit button. I thought this semester’s registration process would be similar, but I was wrong. The introduction of last week’s new-and-improved program—while modern, mobile-friendly, and equipped with a visual scheduling feature—brought challenges instead of ease. When senior registration failed the opening day, I knew it was an omen. I felt anxious for the would-be seniors who were the guinea pigs for this experiment, falling between the folds of a program whose glitches had not yet been smoothed over. After arriving at work at 8:45 a.m. a few days later, I opened my laptop and waited on Foxlink for my turn to register, biting my lip and glancing at the clock, my heart racing. Why did I feel this rush of crippling adrenaline? Was it the fear of denial, of the possibility of losing a seat, of losing a plan? I felt as if my entire future depended on the outcome of my registration, and my whole body went into fight or flight mode. As soon as I tried to open the registration page at 9 a.m., the loading wheel overtook my computer screen for 10 minutes straight. I stared at the monitor, begging for it to load, wondering if it was the WiFi or the overload of hundreds of students simultaneously registering. Adding to the long and stressful wait time, the system also had issues detecting prerequisites, so students could not register for upper-level classes. In my case, the system did not recognize that I had taken a prerequisite class the semester before, and it barred me from entering a crucial class for my major. I quickly emailed Student Records, which, thankfully, responded promptly and corrected the error within minutes. I am not sure if other students experienced this same promptness from Student Records, but I can only hope they did. In this new program, the entire registration screen split into thirds, which made it easy to gather all the information I needed at once. The bottom half of the screen was dedicated to scheduling—the feature I admired most about the program. I had not previously realized that two of my classes overlapped until the system visually showed me on the blocked, color-coded schedule, which was laid out according to the days of the week. 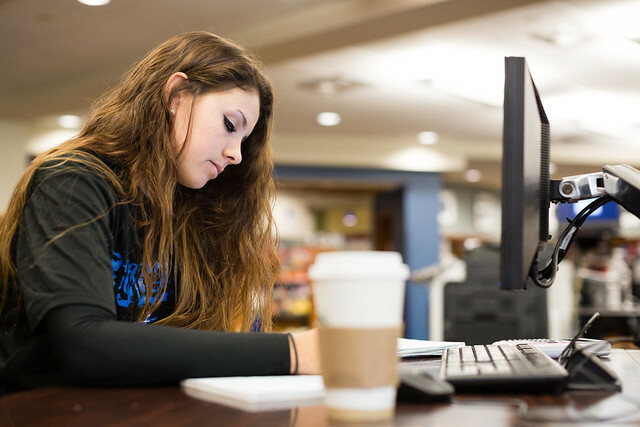 This feature allows students to realistically gauge what their next semester will be like and helps them determine the weight of their course load. Overall, registration this semester was not ideal, although it is headed in the right direction in terms of catering to students’ needs. I merely wish there was a less stressful way to register for classes that did not feel like The Hunger Games; our registration process creates an every-man-for-himself culture, which is the opposite of what Rollins stands for. While I know that offering online registration windows is the most feasible way to allow thousands of students to sign up for classes, I just wonder if, perhaps, there might be a healthier way to do it.